Earlier this week when Sofia and I were searching for the Green group in the morning – by the very edge of the home range – we stumbled across someone we hadn´t seen in months. Larsson! This young male migrated from his presumably natal group (the Green group) in the middle of the mating season the 30th of October. We were happy to see our long lost friend and Larsson himself seemed very relaxed with our presence. We could see a few scared members of another group nearby, probably confused over their buddys’ unusual acquaintances. One female alarm called at the sight of me, and Larssons’ response was instant. He vigilantly looked around, peering into the forest, trying to spot any threat. What he didn´t realize was the fact that it was I who was the subject of anxiety of his new and unhabituated group. 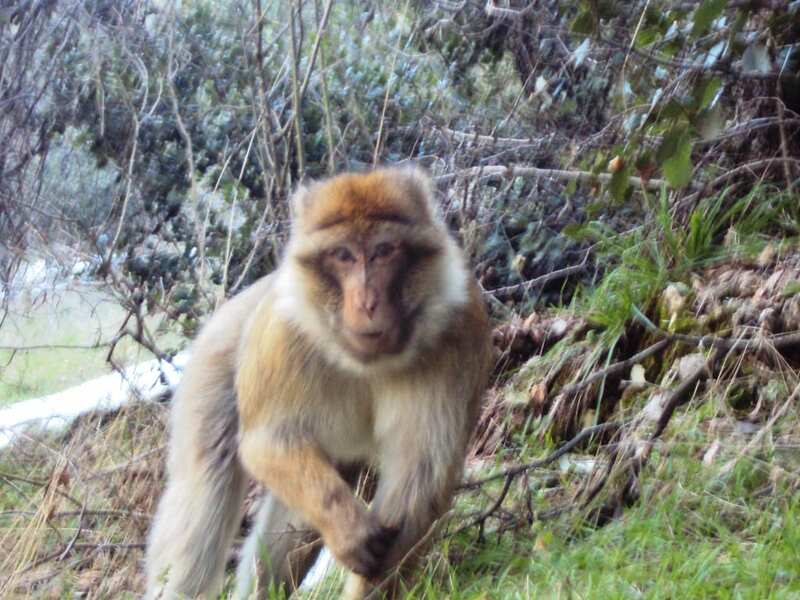 This spontaneous former group member encounter provided us with a great opportunity to try to get a DNA faecal sample from him, in order to check paternity of coming and already existing infants in the Green group. I stayed with him for the majority of the day, while Sofia found and worked in the Green group. And yes, a Larsson sample was brought home! That’s really cool Larsson finally showed up again. Did you stumble across this other group before? Would be cool to see, if he stays or leaves again to find another one at some point. What do you think, how old is Larsson? It was great to catch up with Larsson again. We think he may have now migrated out of the Green group perminately and looked pretty healthy in his new group. It is a group we have seen quite a few times up behind the ‘Portugal Valley’ and the Greens have had quite a few inter-group encounters against them. 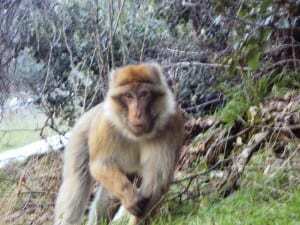 Larsson is about 5 years old we have estimated so is the right age to be migrating away from his presumed natal group. We will be keeping a close eye on the situation when we are in these areas of the home range next time to see how Larsson is doing.